Obviously, I have more work to do. I took the scrubby sponge in the shower with me after running and mowing the lawn. Our tiled shower stall is old and lately pretty gross. There's black moldy stuff in the grout, a brownish film over the lower tiles, and I don't even want to discuss the state of the shampoo and conditioner bottles. We aren't filthy people, but don't clean on a strict schedule. That and I'm likely to push things such as shower cleaning not just to the back burner but right off the stove. 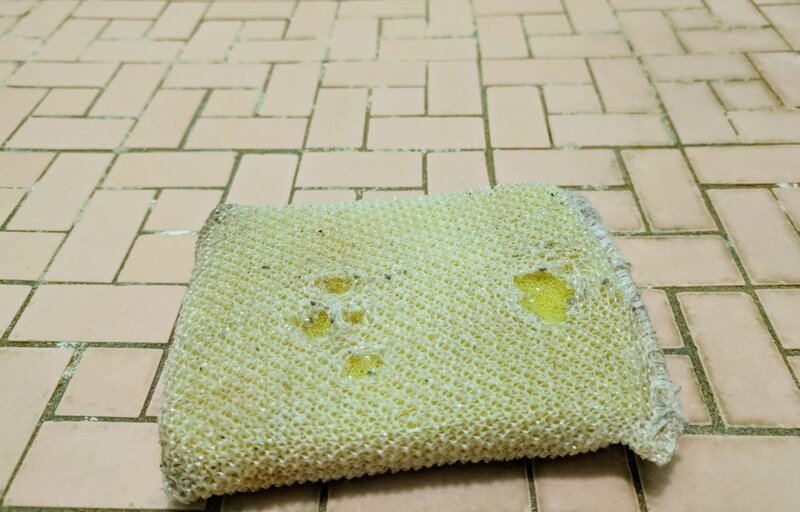 Taking the scrubby sponge in the shower, I let water run down my back while I scrubbed a section of tile. I cleaned mildew from the grout. I cleaned about two dozen tiles, a small section of the shower. I made things a little better. I've done this off and on for a week and the worst of the filth is gone. I'll keep at it. I get caught up in wanting things to be a lot better right away. I want enough money to retire today, not tomorrow. I want to lose twenty pounds before sundown. I want to somehow become a best seller overnight (preferably last night) and have a whole new life. Strangely, none of that has happened and even I can admit it ain't going to right away. All I can hope to achieve today is to make things a little better. I got up this morning and wrote three Morning Pages. It didn't change much, but I've done those three handwritten pages every day for more than four years. Each one changes me a little. I can feel those changes accumulating. A friend invited me to walk and run the 185 Euclid steps. We went up and down five or six times then ran home. It was a short workout, the first run I've done this month, and it failed to earn me a spot on the cover of Men's Health. Still, it felt good enough that I want to run again, and I'm a little healthier for having moved my body and spent time with my friend. Home again, I mowed the lawn. There are so many things I need to do around the house, but the lawn looks good and the house looks and feels a little better. Then there's this short blog post about a simple idea. What good does it do in this world? If nothing else, it makes me feel a little better and making anything even just the tiniest bit better turns out to be good enough. If I keep going, little things add up. Real change just requires enough patience, belief, and persistence to make things a lot better a little bit at a time.